In 1956, Ludwig Conrad established the Conrad model toy company. Already in the 60`s he was well known for producing accessories for model railroads. With the 1971 take-over of the Nuremberg toy company GESCHA, the large scale production of detailed diecast models and toys began. 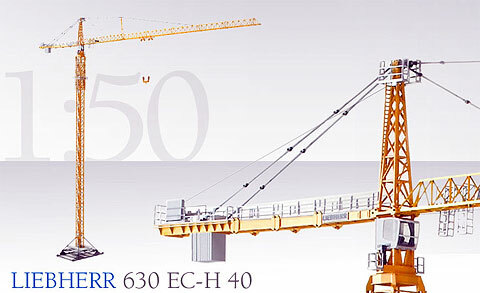 Quality is very high with impressive construction models of Liebherr, Mercedes, Komatsu, Nooteboom, and other heavy construction equipment. Conrad pieces are all are designed for the toy collector or modeler. Conrad relies on production in Germany, because of the qualified personal and planning departments located next to production. Providing fast interaction between these two departments guarantees the highest quality construction standards. 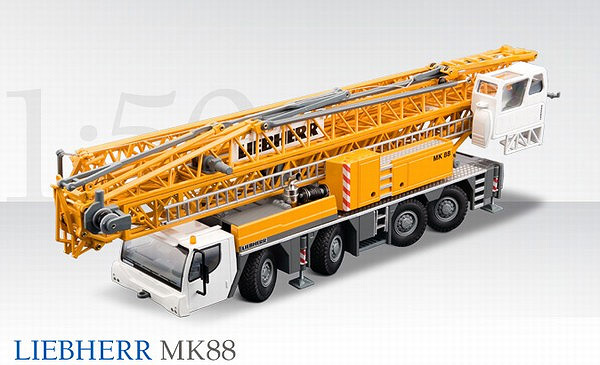 Several production sites in the north of Nuremberg, Bavaria are the source of these high-quality models. Conrad Models We stock a full range of Conrad models from Germany. Click at left to see our online inventory of collectible toys and models. Thousands of die-cast toys and models will be at your fingertips!